Elizabeth Warren wants to ban the US from using nuclear weapons first | "Global Possibilities"
This 12-word bill could change how we use nuclear weapons. Two weeks ago, a major national security bill was introduced in both houses of Congress — and hardly anyone noticed. That bill, introduced by Sen. Elizabeth Warren and House Armed Services Committee Chair Adam Smith, was the No First Use Act, and it aims to transform US nuclear weapons policy. The text of the bill is a single sentence: “It is the policy of the United States to not use nuclear weapons first.” But that single sentence might be a really big deal. Proponents argue that it’s the first step toward a better nuclear posture that will reduce the risk of an accident killing hundreds of thousands or spiraling into a global catastrophe. Nuclear weapons remain one of the biggest threats to human life. But opponents argue that it could instead destabilize international nuclear policy, driving arms races in countries that currently count on the US to protect them. Taking either side at face value, it seems like one of the most important conversations we can be having. But nuclear security policy hasn’t featured much in mainstream politics, no matter how significant its implications — or maybe because they’re so significant, they feel a little ridiculous to engage with. A nuclear war could kill billions. Nuclear weapons have nearly been deployed by mistake, more than once. Yeah, sure, the Cold War’s over. But the conversation about safe nuclear policy really, really shouldn’t be. The No First Use Act won’t do much by itself, but if it’s a sign we’re ready to have a real conversation about how US policy can reduce the risk of a nuclear war, it’s a welcome one. The one time the United States used nuclear weapons in war, it was to end a conflict being fought with conventional weapons. Since then, we’ve stopped thinking of nuclear weapons as just another tool in our toolbox in a conventional fight. “When we initially had the bomb, there were lots of questions about whether this was just something you could integrate into your arsenal,” Alex Wellerstein, who studies the history of nuclear weapons at the Stevens Institute of Technology, told me. As the Soviet Union developed its own nuclear capabilities, and as expanding capabilities and early speculation about nuclear winter made it more obvious that the use of nuclear weapons could wipe out both countries, it stopped making any sense to treat nuclear weapons like just a bigger bomb. When the Cold War ended, that posture didn’t change. “There were efforts in the ’80s, the ’90s, the Obama administration to push the US toward a no first use policy,” Wellerstein said. The closest we came was under Obama, who put unusual emphasis on nuclear policy for a post-Cold-War president. But his administration ended up deciding against no first use. “That had more to do with acclimating allies to the idea,” Alexandra Bell, the senior policy director at the Center for Arms Control and Non-Proliferation, told me. Even if the Obama administration’s strategists thought that no first use was the way to go, nuclear policy is so fraught that it’s important to have world leaders on board, and that takes some time. So the administration didn’t go that far. Is changing US nuclear policy really as straightforward as passing a one-sentence bill declaring, “It is the policy of the United States not to use nuclear weapons first”? Well, no. On its own, a declaration about US nuclear policy won’t be taken that seriously by anyone. In fact, critics of the bill argue, it might be taken seriously by our allies (making them nervous) and not by our enemies (making them bolder), which would be the worst of all possible worlds. But some worry that passing the bill won’t lead to the real changes — and, as a result, could actually cause harm. “A declaration, without any attendant changes to the US’s ability to actually use nuclear weapons promptly, absent changes to the actual posture, alert levels, etc. — your adversaries won’t believe it,” Vipin Narang, an associate professor of political science at MIT, argued. “There’s a real concern here that your allies might. A big nonproliferation tool we’ve had at our disposal is extended deterrence. And for our allies, at least, not declaring one way or another that we might use nuclear weapons in their defense in a conventional attack against them may help reassurance at the margins,” he added. To proponents of no first use, all of that means it’s finally time to make it happen. “We’ve come to a place where the US can adopt this kind of policy,” Bell told me. And, perhaps more importantly, we’ve come to a place where the public is perhaps interested in thinking about nuclear security again. To a significant extent, interest in nuclear weapons as a topic died when the Cold War ended. The public doesn’t rank nuclear security among their top considerations. It rarely gets much consideration in political campaigns or party platforms. 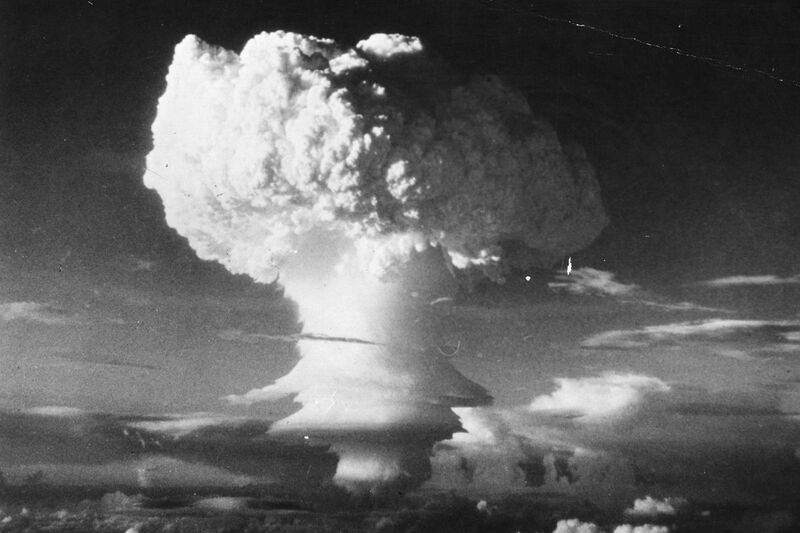 Nuclear weapons could still kill us all — we just don’t think about this much. Having Donald Trump in the White House might have changed that. “No one can stop President Trump from using nuclear weapons. That’s by design,” Wellerstein pointed out at the Washington Post three weeks after Trump was elected. That’s always been true, of course. Any US president has the authority to order a nuclear strike on their own, though some experts argue that the military would disobey an illegal order. But with the president historically unpopular, and regarded by many as erratic, this longstanding truth has suddenly seemed especially troubling. “The silver lining of the Trump administration,” Bell told me, “is that people are reengaging in the conversation” about what the best policy for use of US nuclear weapons is. In other words, many conversations about nuclear policy assumed that our own leadership would be thoughtful and careful, and that we would use nuclear weapons only under the right circumstances. We’ve historically treated the important considerations in nuclear policy to be the reactions of our allies and adversaries. We haven’t put as much thought into how our nuclear policy could be better designed to hold our own leadership back from a terrible mistake. Of course, if our real goal is reining in our own leadership, there might be even better ways to get there than no first use. No first use has a few major advantages as a national security stance. The first is its sheer simplicity — the bill is one sentence long. It reflects the understanding of US policy that many people already have — we don’t expect our government to be the first to escalate a conflict to nuclear weapons. It’s a starting point for “trying to get the legislative branch back in the business of nuclear policy,” Bell told me, and it’s particularly well-suited to that. But the policy with the best odds of getting traction probably isn’t the same as the ideal policy, and there are probably policies that address what Wellerstein calls the “bad president problem” better than no first use. If your aim is to prevent misuse, it might make more sense to add oversight — taking away the authority of the president to unilaterally launch nuclear weapons. It might make sense to explicitly set conditions — to decide, as a society, under what conditions we’d accept the use of nuclear weapons, and embed them into law. But if those are unachievable — and they certainly look it — then we might realistically need to answer the question of whether no first use is better than nothing. If we can convince our allies that it doesn’t reflect a decrease in the American commitment to their safety — a real challenge, and the one that held Obama back from pursuing it — I think it could be. It represents one fewer way our world could descend into a nuclear war. Ultimately, a national security policy like our current one, which aims to confuse people about when we’ll use nuclear weapons, is one that might result in our using nuclear weapons when our adversaries didn’t mean to escalate that far and when there were other options on the table. Taking that possibility away is not without downsides, but it’s also easy to underestimate the upsides — better odds that, in a shocking catastrophe of merely conventional scale, no one makes the mistake of turning the fight into a nuclear one. We have a new global tally of the insect apocalypse. It’s alarming.